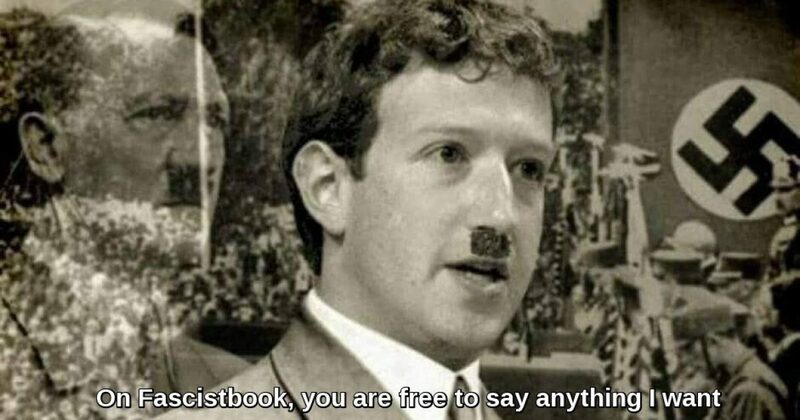 The language used by Facebook to convict the vile criminals (Siliconspeak for “conservatives”) who defile what the Facebook powers that be perceive as their otherwise harmonious Shangri-la is always intentionally vague so as not to allow the licentious losers (Siliconspeak for “conservatives”) an avenue for appeal. Following is the message that appeared on my monitor when I attempted to open Powdered Wig’s Facebook page today…. Now, how do you argue with that, you foul conservative? Away with you! Go read the equally vague “Community Standards” until you identify your transgression. We are a patriotic lot, we conservative publishers. For most of us, our publishing careers grew not from a profit motive, but rather from a passion and love for our country. That was certainly the case with my own website, Powdered Wig Society, which I began in 2013 as a protest to what I considered the treasonous activities of Barack Hussein. At the time, I had no idea that a blog could make money. It can. Your traffic and your money can also be squeezed to a drip by the demonic geeks in the bowels of the Facebook operation, twisting this valve and that spigot to cut off the reach of conservative publishers, rendering us virtually invisible. We conservative publishers have relied on Facebook for our marketing since the beginning. It was a great relationship then. We offered a counterbalance to the biased, partisan, liberal reporting coming from the mainstream media. We attracted followers. Our brand grew. We were booming. The trajectory was due north. We changed the face of American media, offering an alternative to the fake news Mom and Pop America had been accustomed to seeing and hearing from the Alphabet Network Club (ABC, CBS, CNN, NBC, MSNBC) and sometimes Fox, as well as the liberal daily bird cage liners, The New York Times, The Washington Post, and other liberal media print sources. From the beginning, Facebook solicited us, offering assistance in growing our audiences even larger and more quickly by putting our product in front of more readers and charging us accordingly. Facebook was happy to take our money. No one in Silicon Valley, Hollywood, or the mainstream media believed that we, the conservative pundits in the right-wing blogosphere were a force deserving attention or respect. We were left alone. We were free to fairly enjoy the fruits of the new cyber-phenomenon, like everyone else, and we prospered and grew. Then, on June 15, 2015, Divine Providence and a now-famous escalator ride in Manhattan’s Trump Tower began a political movement the likes of which America had never seen. Billionaire Donald Trump announced his platform and candidacy for President of the United States. Having toyed with the idea of running for President before, Trump’s announced candidacy was not taken seriously. In fact, the pompous talking heads laughed aloud, sharing many a back slap with their fellow liberal pundits, so presumptuously superior were they, or so they believed in their narrow minds, that there was never a fear that Donald Trump would ever be the Republican candidate for President, let alone be elected President of the United States. The Democrat Party and its official Communications Division, aka the mainstream media, were asleep at the switch. They, who so arrogantly believed that they had their finger on the pulse of America, were so out of touch that they completely missed what was happening. They were losing media market share and the right-wing blogosphere was gaining it…. rapidly. Still, they weren’t worried. There was simply no way that Donald Trump could ever be elected President of the United States. All they ever had to do was read his platform and watch closely what was happening at his rallies. In coliseums and football stadiums across America, up to 40,000 Americans per rally waited hours, standing in line to see and hear the most hopeful message they had heard since Ronald Reagan stormed across America with a similar message of optimism and love of country. Shell-shocked by the defeat, the Democrats, the mainstream media, and their co-conspirators in Silicon Valley drew up a battle plan for all-out war against Donald Trump and the conservative internet publishers like Powdered Wig, whose voices, in support of Candidate Trump, resonated with Main Street America and were key to President Trump’s election. We were and are squarely in the crosshairs of those who control the social media giants Facebook, Twitter, and Google. It is their mission to kill our websites by squeezing off our traffic, to silence us completely by demonetizing us and driving us out of business. Several prominent conservative sites have shuttered their operations in the past year, unable to survive Facebook’s manipulation. I have paid Facebook thousands of dollars to promote Powdered Wig, all while the demonic forces at Facebook were deliberately restricting my traffic (I believe that is called “fraud”). Powdered Wig’s revenue was five figures at its peak pre-2017. On October 11, 2018, Facebook shut down hundreds of conservative pages. I owned two of them, Powdered Wig Society, with 300,000 followers and Thomas Madison’s page, which had over 4,400 friends. Facebook had already reduced my traffic and revenue by 98% of its pre-2017 level. Now, they intend to deal the mortal blow to silence me forever. I belong to a network of conservative writers and publishers. A large number of our Facebook pages were shut down on the same day, October 11, for reasons that apparently Facebook only recently invented just for us. We are being called “inauthentic,” whatever that means (only Herr Zuckerberg and his flying monkeys know for sure) and “spammers” because we occasionally post our articles to Facebook groups we belong to, which enjoy those articles, evident by the engagement (likes, comments, and shares) our articles receive. We conservative publishers are forming our legal case now, the details of which I won’t publish here so as to not let the enemy of America, Fascistbook, know exactly what we are doing and from which angle we are approaching.